We offer a satisfaction Guarantee and will not leave the job until you are Happy! With over 39 years of professional experience, Internationally and in Australia, our family owned company offers a complete and diverse range for all of your cabinetry needs, we are specialists in residential and commercial fit outs. Committing ourselves to using the best products available, some including a life-time warranty. We offer the latest technology in viewing your design as a computer drafted customised 3D layout to suit the environment and customer's vision, giving you a more accurate and lifelike look at the end result. We are also able to assist you with your design and colour selection, free of charge to our clients. If you dream of an environmentally friendly fit-out we will endeavour to find the best possible way to do this for you within your budget. We pride ourselves on our quality professional craftsmanship and are, therefore, able to offer to our customers the very best at competitively priced rates. We are very proud of our skilled, friendly & approachable staff. Co-ordinating with other professions, we can organise skilled tradesmen to work in conjunction with our joinery team to complete your project in an efficient and timely manner. Simultaneously working with Painters, plasters, tilers, plumbers or electricians for your convenience giving you added peace of mind. we are very proud to have acquired a solid reputation for quality reliable workmanship, with attention to detail. Drop in to meet Tim in our fully air-conditioned showroom, where he can assist you with a wide range of product sample boards, displays and brochures helping you to make an informed decision. 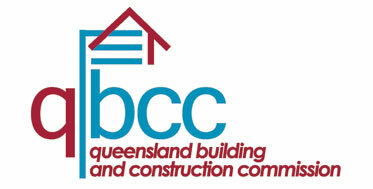 Cooloola Coast Cabinets holds all current licences and insurances.